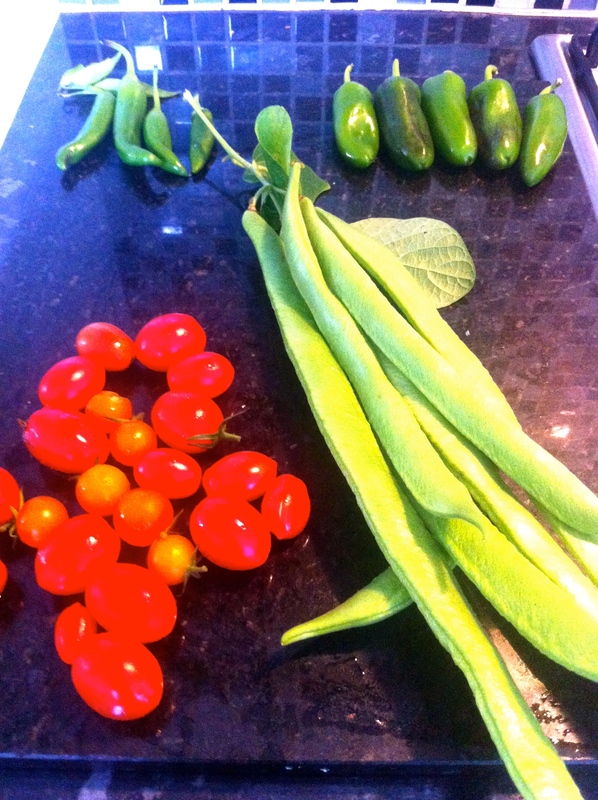 We are still enjoying our healthy and delicious garden produce. We are lucky enough to have a fantastic butchers in walking distance from our house, located on Manor Green Road, Epsom. Master Butcher’s is a long-established family butchers who stock a full range of fresh meat and poultry as well as a large selection of hand-made sausages, burgers, kebabs, and other products such as meatballs and meatloaf. All of which are made on the premises. Cold cuts, salamis and a variety of cheeses are always in stock as well as a range of sauces and other condiments to help you prepare delicious meals. 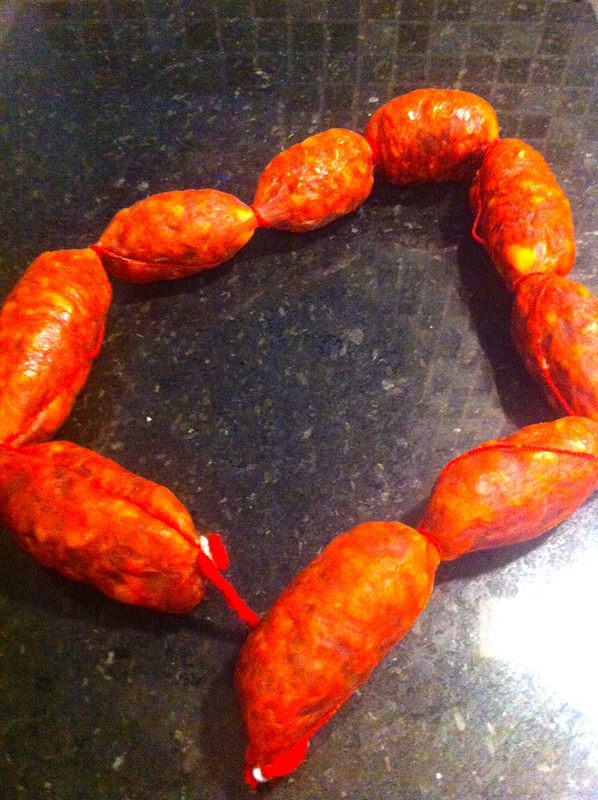 I bought this Chorizo today to make a pasta dish for this evening. This air-dried sausage has much more bite and smokiness than any Chorizo I have ever purchased in the supermarket. My garlic and rosemary infused roast lamb. Chocolate and Orange Cointreau cake. 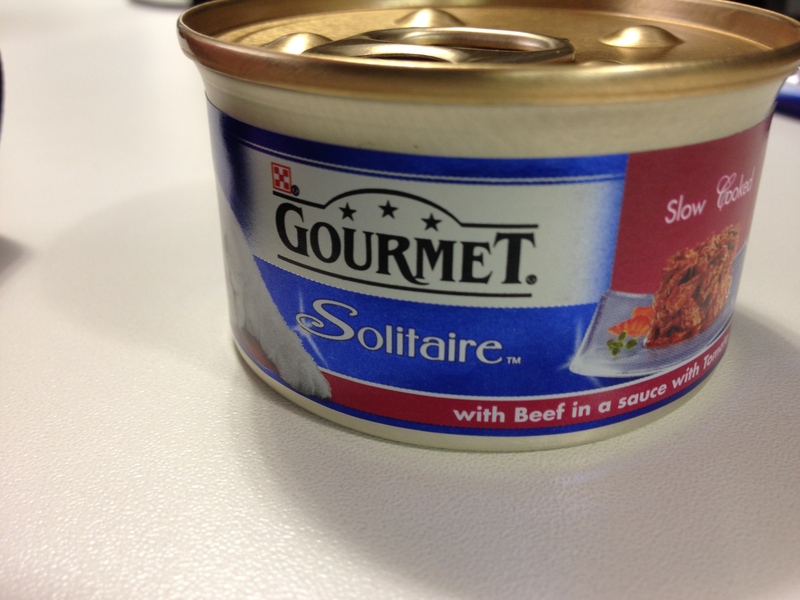 We have also been stocking up on Miles’ favourite Gourmet tins. My dressmaking classes at Sutton Adult Education Centre have started again. 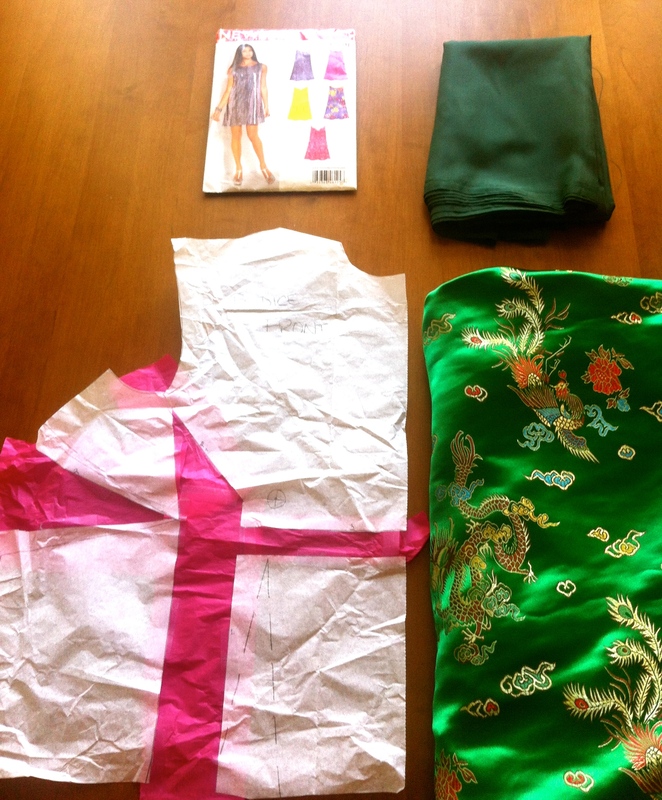 This term I am trying to make this New Look B125 dress in this beautiful emerald green Chinese brocade material, which I bought in a fantastic inexpensive fabric shop in Kingston called Fabric Land. The material cost £4.15 per metre. Bargain! The only point I have to add is that if you are a beginner it is probably not a good idea to start with this kind of fabric as it frays like mad. I will have to zig zag stitch all the edges before I even start the seams to stop the material fraying to nothing. If you are a beginner it’s best to start with cotton or another material that won’t slip and slide while you are trying to sew a straight seam. This week I learnt how to adjust a pattern for a fuller bust. It is important to remember when making a dress or any garment for the top half of a woman’s body that all commercial patterns are designed for B cup ladies. Therefore if you wear a larger size bra then you will need to adjust your pattern. I wear a DD size bra so as you can see from my practise pattern in the photo there is a lot of engineering that I need to do before I can even begin to cut my pattern out. You need a lot of patience for dressmaking as I am learning with each new project. Watch this space and hopefully I will have a very exciting garment to show you soon. 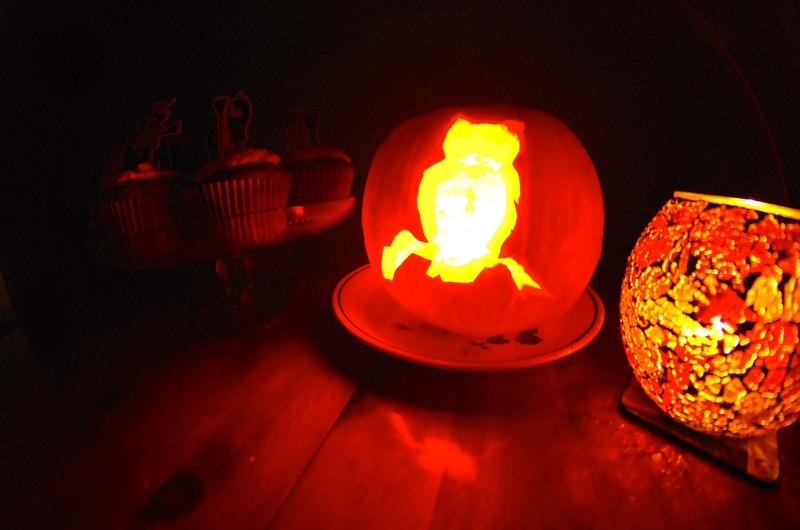 October is my favourite time of the year because it’s pumpkin season and of course Halloween soon. 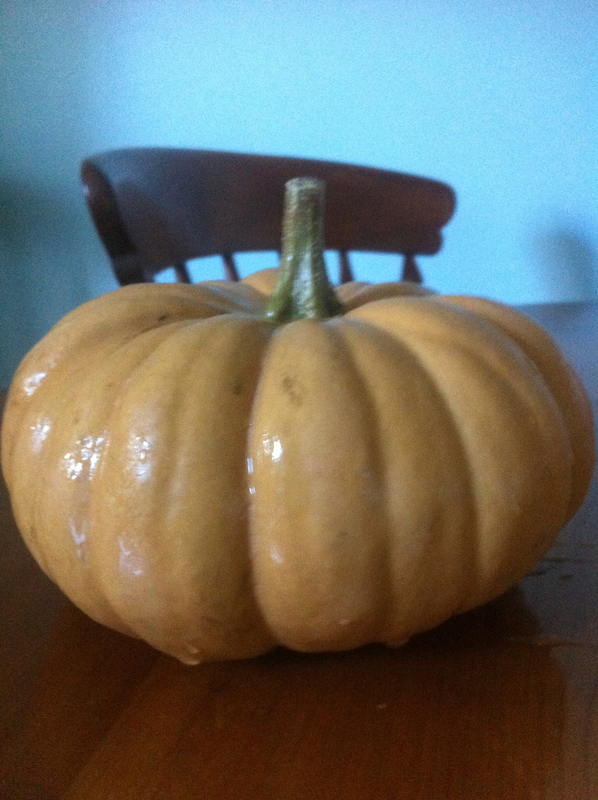 So keep checking in with SurreyKitchen for some fantastic Pumpkin recipes. I am only a beginner at dressmaking, but hopefully with a bit of patience I will have a finished garment to show you soon. Just the fitting of the pattern has taken up three classes already. I still haven’t cut the material yet. Emma. 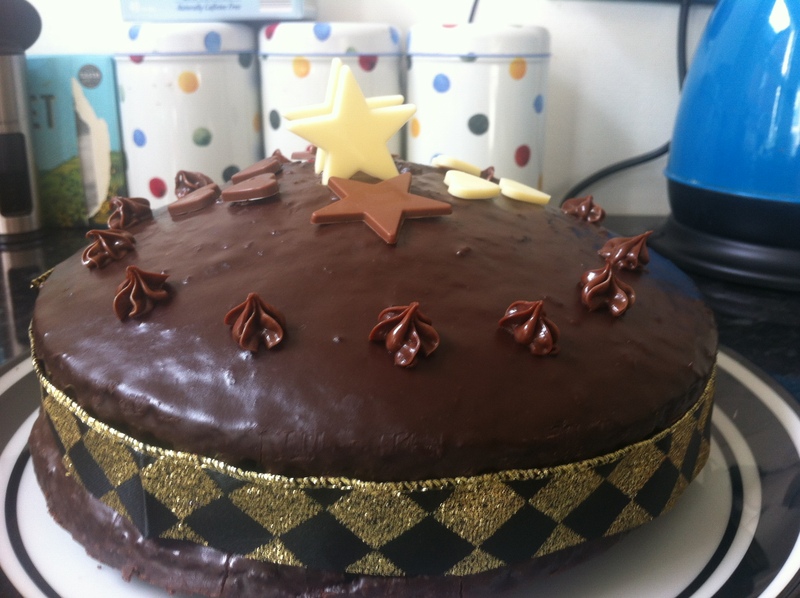 The chocolate, orange and Cointreau cake looks totally yummy. I bet it tasted delicious. Good luck with the dressing making classes and I hope we will see a picture of the finished dress on the blog. The chocolate and orange Cointreau cake was delicious. I made it for our five year wedding anniversary as we had the same flavour cake when we got married. I hope I will have a dress to show you all very soon. Lovely produce from your garden, and such a delightful cake you’ve made! I admire that you are making dresses – they are so precise and technical in my mind that I would not have the patience to make them, though my family is full of clothing-makers. Beautiful fabric, too! Thank you for your kind words. I am only a beginner at dressmaking, but I am enjoying the classes at the same time. Emma. 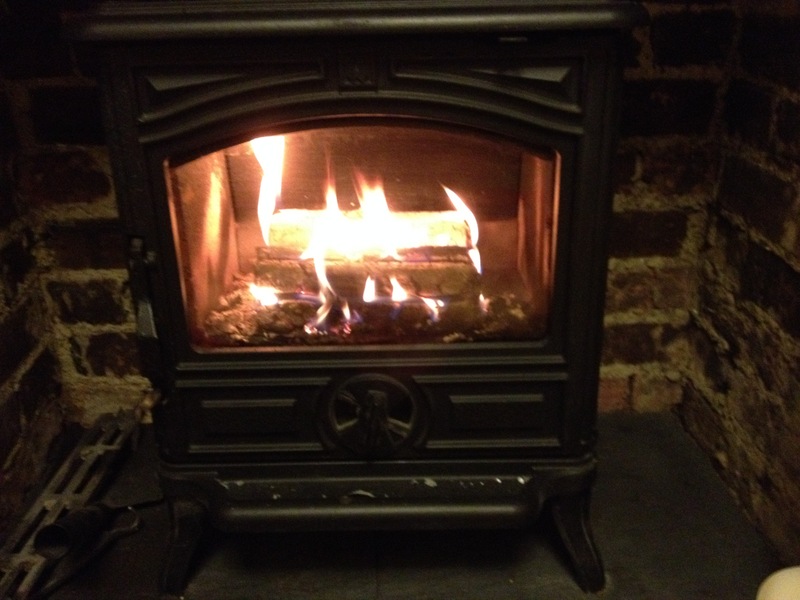 You can’t beat the wonderful ambience of a wood burner. There is nothing quite like it. 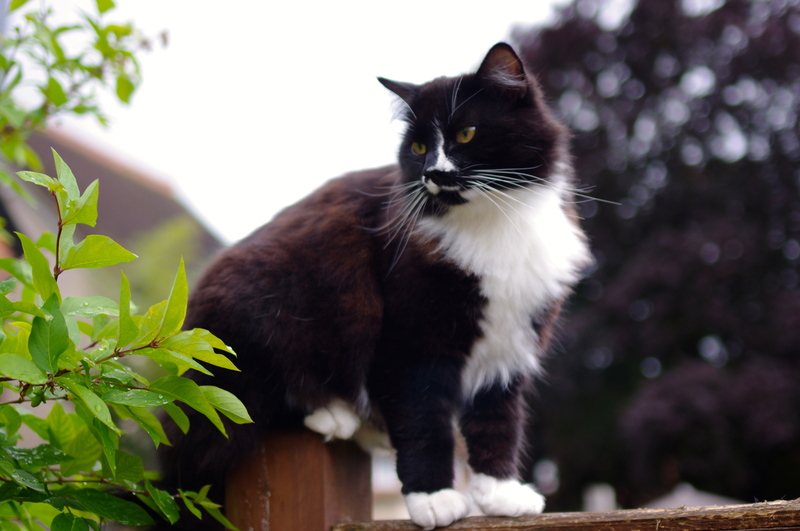 Love the photo of your cat. It seems that you lead a fabulous life! What with all the stress in our lives at the moment we try our hardest to give that impression. I think the dressmaking is more therapy at the moment. Luckily my teacher has the patience of a saint. Emma. I envy you the beetroot! 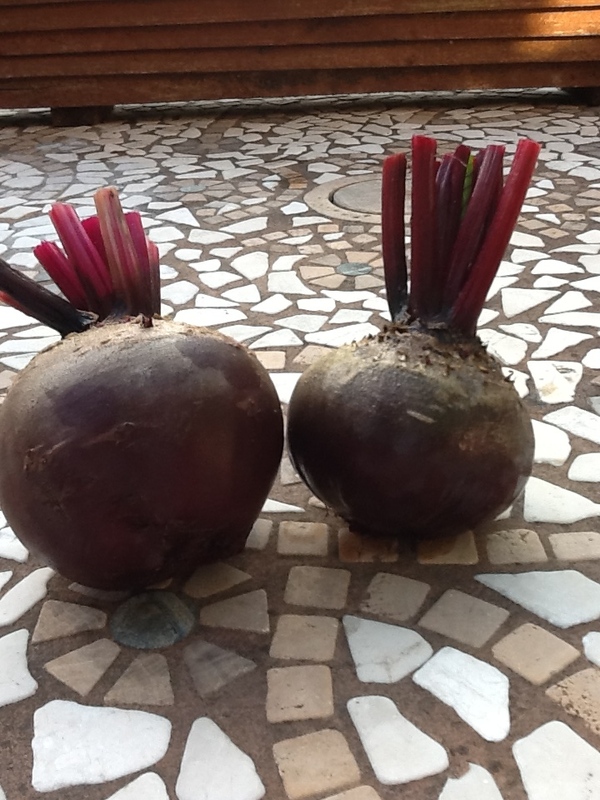 Ours came to an end about 3 weeks ago and I mourn the lack more than any other product … I could live off beetroot! Our beetroot has finished now too. Its not the same from the supermarket. I wish I could say I was good at dressmaking, but I am only a beginner. I lack the engineering brain you need to be really good. My poor teacher has the patience of a saint. 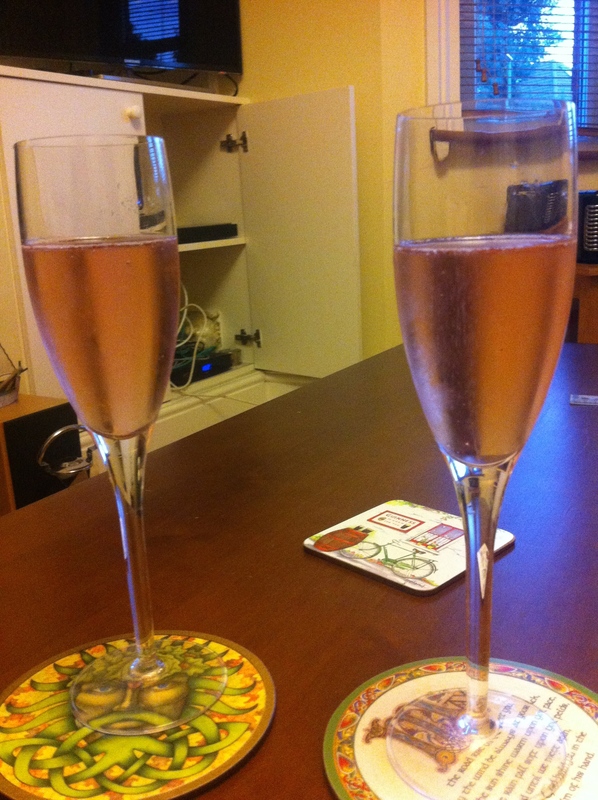 You should have a girls night with your mum. Get her to teach you some sewing. Emma. Hi Emma! You have had a busy month – and wise words indeed to take time to enjoy the transitional phase of the seasons. Your garden has been busy too, I see. And that dress is going to be gorgeous. 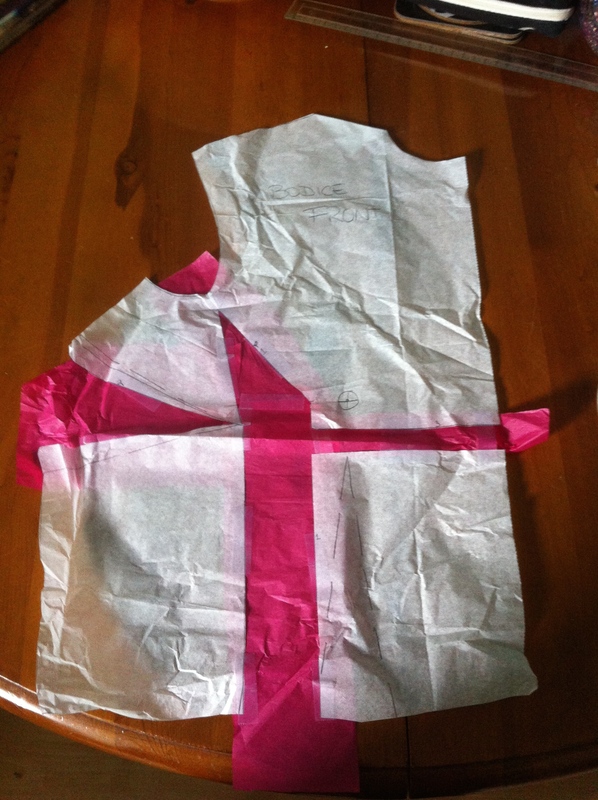 So have you inserted that red paper into the pattern to make it larger? I find pattern design and cutting so fascinating even though all I can manage is name tag sewing and button re-attaching! The fabric is gorgeous and I can’t wait to see the finished dress! Have a wonderful week!